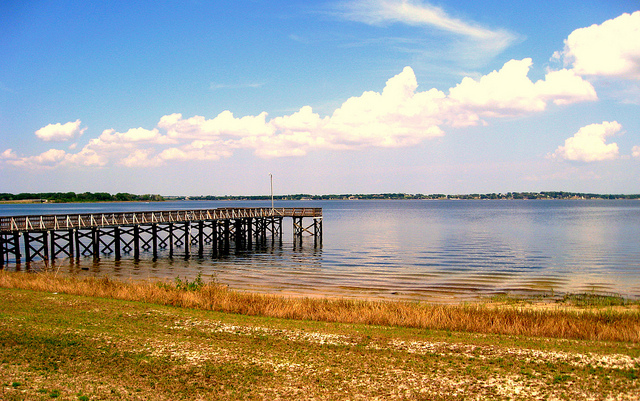 Lake Minneola is located in Lake County Florida covering parts of Minneola and Clermont. Often referred to with it’s sister lake of Minnehaha, located just south of Minneola, this lake offers many lakefront properties, homes and waterfront estates. What do you want out of your lakefront home? – Do you want to swim? Have a boat? Have a view? Make sure you know why you want lakefront and what you want out of the home. You may love the home but hate the land. Check out loans. – Many lenders may have restrictions on lakefront properties. Make sure your lender knows what you are looking for and get funding accordingly. Same with insurance. – Make sure your insurance company knows all they need to know about the property. You would hate to not be covered for something because you forgot to mention it. Check the weather. – Double check on the weather in your area and how the house withstands the rise and fall with rain, storms, etc..
Talk to the neighbors. 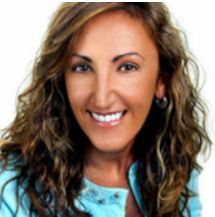 – You might learn a lot about the area and the property by talking to neighbors, especially if you have never owned a property on a lake before. Ask them what they wish they knew before moving there. What about utilities? – Check into the utilities before buying. You may have restrictions on septic, sewer, water usage and plumbing. Make sure you understand your property before “diving in”. There are residential neighborhoods on the west side of the lake near Crystal Cove and all along the north end and part of the northeastern side. Homes along the northwestern banks may also border the Palisades Golf Course, so a golf AND lake view home is completely doable. South of the lake is Clermont and West Lake but most of these areas are industrial or commercial with the inclusion of the Waterfront Park along Palm Street. How Much are the Homes Today? 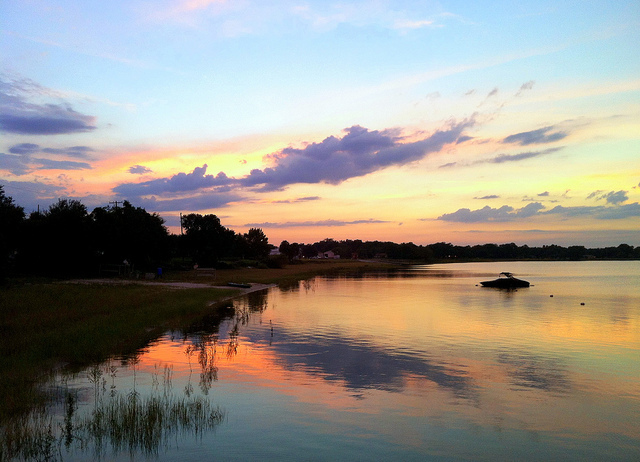 Prices vary greatly for lakefront homes in Clermont mainly due to age, size and condition. 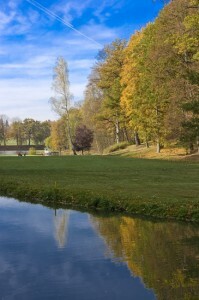 Lots are between 1/3 – 1 acre and maybe more on the west side of the lake. These properties range from $225,000 – $500,000. Homes along the Palisades Golf Course and the water range about $300,000-$800,000 with the average about $700,000. On the north and northeast side of Lake Minneola there are several parcels of land perfect for building your own lakefront property starting at about $120,000. Homes range from $300,000-$800,000. Define the destination: Potential buyers will first want to go to the water. 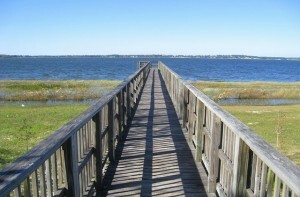 Be sure there’s a welcoming, clear and well-lit pathway leading to the water’s edge and/or dock. Dock & Deck Safety: Be sure docks, decks and shoreline walls are sturdy and safe. Replace or repair any damaged or loose areas. For floating docks, it’s best to rope them off as many people are not used to walking on them. Curb Appeal on the Shore: Clean all debris, leaves and dead fish from shoreline. Rake all aquatic weeds and bottom muck as far out into the lake as possible. Have photos ready to show the shoreline during every season, especially summer. Stage for the Lake Front Lifestyle: Buyers are buying a lake home for a reason…the lifestyle. Help potential buyers visualize their new lifestyle by strategically placing kayaks, life jackets, patio furniture, fishing gear and the like. As an extra bonus, have a kayak, canoe or row boat ready (with life jackets) to take them out on the water at a moment’s notice! Market the Lake: Create flyers that have EVERY detail imaginable on the lake itself. Include things such as size), depth, allowed recreation, boating rules & regulations, Lake Association information, aquatic weeds, public access, boat launches, fish type, etc. 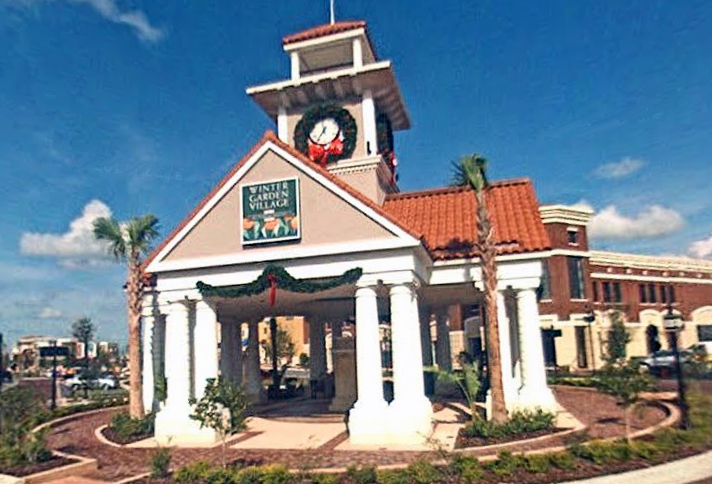 Do you live the Winter Garden area of Florida? Well then you probably shop at Winter Garden Village, West Orange County’s 161 acre signature retail development. You also may be interested to know that this retail development of Winter Garden Village now has a new owner. It’s the largest retail transaction so far for 2014 close to the tune of $251 million worth of retail investment sales in Central Florida. The new owner is DDR Corp. DDR Winter Garden LLC, which is an entity related to the Beachwood, Ohio based real estate investment trust (NYSE: DDR), spent $196 million to buy the 1.1 million square foot Winter Garden Village at Fowler Groves from Cole MT Winter Garden FL LLC and Spirit MT Winter Garden FL LLC on the 19th of July as indicated by Orange County records. Available space for lease is being marketed on the website of DDR. Since this is the biggest retail transaction so far this year, it’s a good indicator that investors are willing to spend the big bucks on Central Florida real estate such as Winter Garden, Minneola and Clermont areas near Orlando. In addition to this, the new owner could put more capital towards improving and/or developing the property. It’s also notable that this transaction has occurred just five years after the seller, a subsidiary of Phoenix based Cole Real Estate Investment, bought the open air lifestyle center for $180.4 million from a developer known as The Sembler Co.
Are you looking for something to do this weekend with your family in Clermont, Florida? How ’bout hitting the trail? You’ll love it and the next time someone tells you to go “take a hike” you’ll be more than happy to and know exactly where to go! 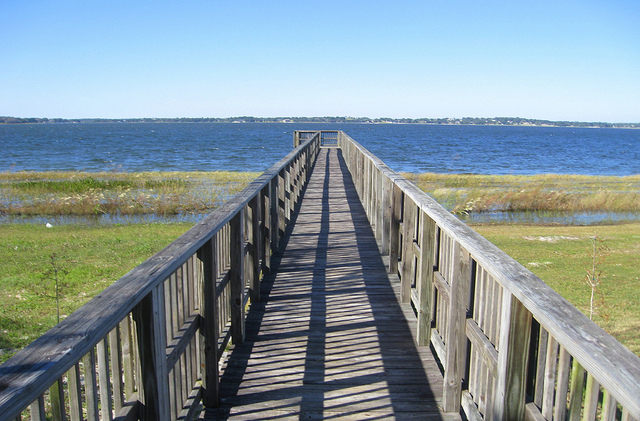 The South Lake Trail mainly known as the Lake Minneola Scenic Trail is only about 20 miles west of Orlando and takes in some of central Florida’s most breathtaking views. This seven mile paved trail is the place where you’ll find the most hills, lakes and wide open vistas in the region. This trail is perfect for biking, walking, inline skating and is also wheel chair accessible. Additionally, the trail is only five miles from the West Orange Trail and soon there will be plans to connect the two. 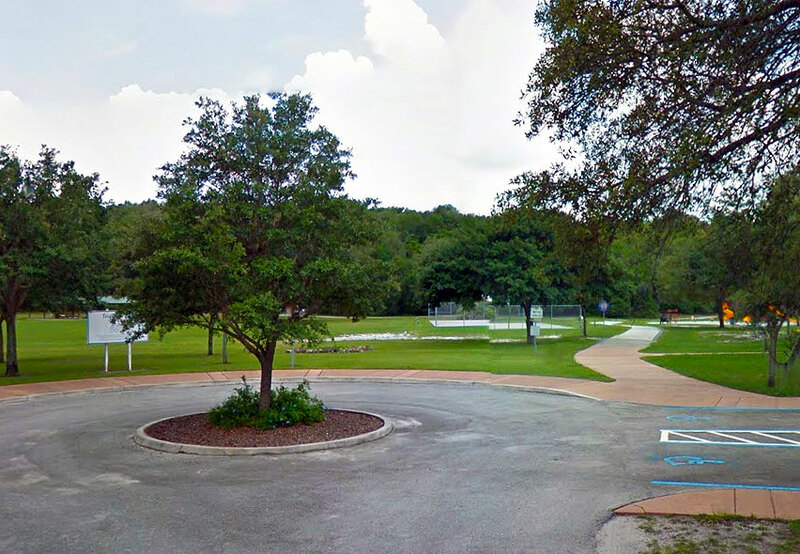 At the midpoint of the trail, signs point to a 0.25 mile spur for the Minneola trailhead which is a great spot to park your vehicle. Near Lake Sumter Community College on North Hancock Road is where the trail starts on top of a hill. When the weather is good and the sky is clear you’ll take in spectacular views of the region including the span between the lakes to the Orlando skyline. What could be better? The first two miles of the trail move down hill toward Lake Minneola in Clermont and are pretty easy. Streetlamps allow for good lighting and use of the trail at night time. The trail skirts the south shore of the lake, providing for excellent scenery. Clermont Public Beach boasts refreshingly cool water and convenient trail side amenities including restrooms, picnic tables, and parking. The last mile of the trail wraps around the lake to the western trailhead. Should you take any of the side streets leading away from the lake, you’ll end up at various shops and restaurants in downtown Clermont.